Erin Dunigan...is a photographer, writer, gardener, permaculture enthusiast, rainwater-harvester, runner, preacher, foodie, and a Presbyterian minister who leads a monthly gathering of atheists, agnostics, and other "spiritual but not religious" called Not Church. Go to not-church.org/about to find out more about Erin. Mark Scandrette...is an author, teacher, activist and networker among innovative Christian leaders. Mark is the founding director of ReIMAGINE, author of "Practicing the Way of Jesus: Life Together in the Kingdom of Love", and contributor to several books on the emerging church. Go to markscandrette.com/about-mark/marks-bio/‎to find out about Mark. Dan is on a mission to create a vibrant new ministry geared toward young people in Uptown Minneapolis. He is gifted at creating an inspiring worship environment that is appealing to all but aimed at young adults. Go to www.gracetrinitychurch.org/#/welcome to see what Dan is up to. By 11:00 everyone must be out of their sleeping rooms. Please leave your linens outside of your door. You are free to bring your luggage to the Leader Lounge and wait there for your transportation. If you’re a newly minted youth minister, a seasoned veteran, or somewhere in between, come share what you’ve learned and ask questions from folks who have been in your shoes. This 90 minute round table is led by people with a combined forty years of youth ministry experience and will focus on the needs of the group. Potential topics include: building community, meeting students in their world, event and volunteer management, working with vestries/church boards, committees and senior pastors and the best toxic chemicals for cleaning out the youth room refrigerator. Caren Miles wasn’t born an Episcopalian but she got there as fast as she could. Her career in youth ministry started, as many do, in the volunteer department. After 12 years of full-time ministry from Texas, to New York City, to San Francisco, she’s learned a few great tricks and even more uses for marshmallows. She is currently the Youth and Family Minister at St. John’s in Ross, CA. “The Enneagram (ANY-a-gram) is a geometric figure that maps out the nine fundamental personality types of human nature and their complex interrelationships. The modern Enneagram has been synthesized from many different spiritual and religious traditions. The heart of the Enneagram is the universal insight that human beings are spiritual presences incarnated in the material world and yet mysteriously embodying the same life and Spirit as the Creator. One of the great strengths of the Enneagram is that it steps aside from all doctrinal differences. It has helped individuals from virtually every major religious faith to rediscover their fundamental unity as spiritual beings.” (The Wisdom of the Enneagram by Don Richard Riso and Russ Hudson) No prior knowledge of the Enneagram is needed for this workshop, which is a beginners’ exploration of the potential of Enneagram work in the field of faith formation, both individually and within community. Deborah Voss, an ordained Interfaith Minister, is the Director of Christian Education at First Congregational Church UCC, Boulder, Colorado, a position she has held for eighteen years. Always excited to learn new approaches and test their applications, Deborah has implemented, adapted and written a variety of curricula, and tried some out-of-the box ideas in addressing both opportunities and challenges in the faith formation of all age groups. This workshop explores intergenerational art projects for liturgical space, community building and spiritual development. Come along to hear reflections on projects, process, community building and spiritual development that have taken place in intergenerational and generationally specific art projects. You will also have the opportunity to participate in a community art project. This would suit faith formation specialists for all ages, and references will be provided to children’s art and crafts projects. Matthew Woodward is the Rector of Transfiguration Episcopal Church, a growing parish exploring innovative approaches to inter-generational ministry. He works with a formation approach that includes process-based, community art projects and is excited to share this tool with conference participants. New to the game of ministering with children and families? This workshop helps you understand the basics of working with young children, choosing appropriate materials and curricula, recruiting volunteers, and creative ways to support families pastorally and in faith formation. Cindy Spencer currently serves on the Faith Formation team of the Episcopal Diocese of Olympia as the Coordinator of Children and Family Ministries. Additionally, she coordinates Children and Family Ministries for Saint Mark's Cathedral (Seattle), including serving as the chaplain for Saint Mark's Cathedral Preschool, and overseeing Godly Play classes for children age three through fifth grade. Her interests include equipping families to pass on their faith at home and ministering to and with children with special needs and their families. Whitney Wilson has been involved in Christian Formation for the better part of the last ten years. She recently graduated from Church Divinity School of the Pacific with M.T.S. degree and an emphasis on Christian Formation. She has taught, created and designed Godly play stories for many years and more recently is working on a new curriculum for “tweens” (8-11 year olds). Join professional photographer, Erin Dunnigan, fro a trip around the world via photos taken with her humble iPhone. Then learn how you, too, can snap stunning images with the tool that’s always in you pocket. Erin Dunnigan is a keynote speaker, see bio above. Have you heard of Peace Village-an interfaith Peace Education Camp for children and youth? As our churches become more involved with interfaith partners in our communities, Peace Village is emerging as a new version of Vacation Bible School. It is a beautiful model of congregations coming together to understand each other faith and work together toward peace. Peace Village has all the elements of a VBS with new added benefits. You are bringing children together from many different backgrounds: your circle is wider and so are your resources: youth leadership is a significant aspect of the program which keeps your youth engaged: you learn more about your faith and also learn about other faiths. Each community, each congregation will create a slightly different version of Peace Village depending on the interfaith partners where you leave. Come learn, ask questions, be inspired and see if this new model could be a good fit for your congregation. Betsy Woodward is a United Church of Christ Commissioned Minister of Christian Education. Her passions include Children in Worship, Peace Village, Curricula creation and pastoral care. In September 2012, Betsy retired from 25 years of ministry at the Congregational Church of San Mateo, UCC, San Mateo, Ca. Now she is spends her time volunteering with several nonprofits who assist children’s lives and enjoying new ways of being in ministry. “The circle, or council, is an ancient form of meeting that has gathered human beings into respectful conversation for thousands of years. The circle has served as the foundation for many cultures. What transforms a meeting into a circle is the willingness of people to shift from informal socializing or opinionated discussion into a receptive attitude of thoughtful speaking and deep listening.” (www.peerspirit.com) In this session, we will explore the use of circle to enrich the exploration of our faith and deepen our understanding of what it means to create sacred space for speaking and listening with heart and soul intention. We will both experience circle, and discuss its many uses in Faith Formation. In an increasingly secular culture, how do Christian educators create an intergenerational culture in which faith is "caught" as well as taught, and passed on naturally at all ages and stages? This workshop will focus primarily on resources for adult formation— including contemporary digital sources— but with an emphasis on fostering experiences and building skills for making disciples from baptism to burial. 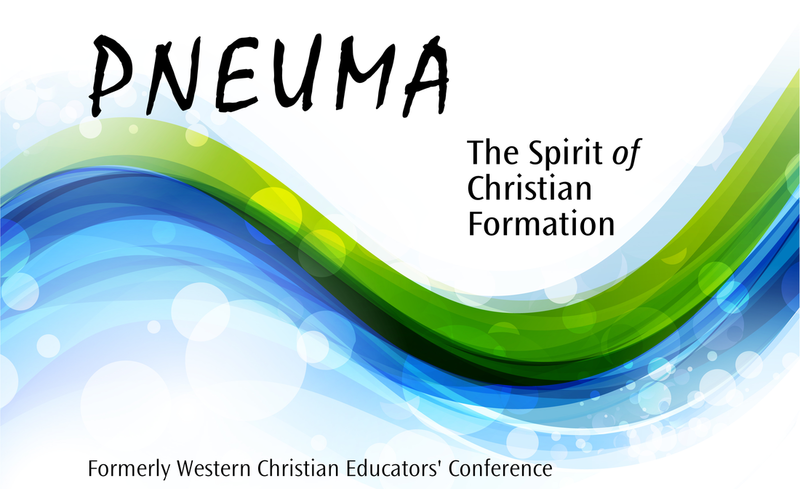 Bring your own best practices to this workshop, because it takes a community to grow a lifelong Christian! Barbara Tensen Ross brings years of experience to her role as Missioner for Lifelong Christian Formation for the Episcopal Diocese of Oregon. A life-long learner herself, Barb is happy to share what she has gleaned along the journey. Julia McCray-Goldsmith serves the Episcopal Diocese of California as Ministry Development Officer and Working Group Head for Discipleship Ministries. Her particular passion is teaching the biblical grounding and prayer practices that nourish and sustain Christians for meaningful action in the world. Jeffrey Spencer, Senior Pastor at Niles Discovery Church, Fremont, CA, will lead a workshop looking at how social media, email marketing services, apps, and blogs to increase communication and to assist faith formation. Participants should have some familiarity with Facebook. How you spend your time is how you spend your life. And how you spend your time is shaped by your financial choices. In the deepest sense, simplicity is an invitation to align time and money with what matters most. We were made to flourish and do good in a world full of abundance. Yet many of us feel crunched for time, stressed in our finances or perplexed about what makes life meaningful. There is a trusted path for recovering the life of meaning, freedom and compassion we were created for. This journey of simplicity invites us to adopt soul practices like gratitude, trust, contentment and generosity and practical skills like time management, goal setting and living by a spending plan. In this workshop we’ll explore formation steps we can take to become more free. Mark Scandrette is a keynote speaker, see bio above. Come join Dan and Chris to plan our Thursday morning closing worship service. Chose music. Create liturgy. Decorate worship space. Choreograph it all. Bring your ideas and any instruments, art supplies, paraments, or…. Most of all come reday to create. Dan Vigilante and Chris Studer are the worship leaders for this year's conference, see bio above. A time to gether for in-depth sharing of ideas and skills, Open Space allows ideas to flow and the conversation to move where it needs to go. A creativity-sparking, new-idea-inspiring, unsterstanding-deepening opportunity. Accommodations are included in the conference cost. 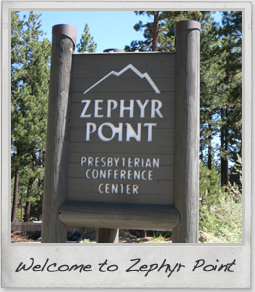 Pneuma 2014 is held in the Tallac Center at the Zephyr Point Presbyterian Conference Center, on the South East side of Lake Tahoe, near Zephyr Cove. 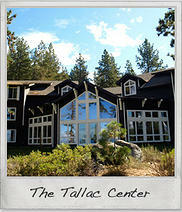 The Tallac Center is a lakefront multi-purpose facility and offers 59 guest rooms with private baths, a dining hall, and four meeting rooms, all in one complex. The Center is fully ADA accessible. Dinner: 5:00 pm. First session: 6:30 pm. You are encouraged to get lunch en route on Monday. Please make travel arrangements accordingly. South Tahoe Express – complete information and schedule is available at www.southtahoeexpress.com (1-866-89-TAHOE). Tickets can be purchased in advance or at the counter near baggage pickup at Reno-Tahoe. When the shuttle arrives in South Lake Tahoe, get off at the first stop, Lakeside Inn & Casino. Transportation from the shuttle drop-off point to the conference grounds can be arranged via TAXI, local shuttle, or by carpool. The distance is 4 miles. There are a number of taxi services. Here are two. Allow 90 minutes from airport to conference center. shuttle leaves town, saving you a half hour riding on the bus. Schedule return flights from Reno after 3:00 pm on Thursday. Driving directions can be found at www.zephyrpoint.org.